About 70,000 Palestinian workers pass through Israeli checkpoints every day. Palestinians without permits often try to cross through gaps in the Israeli wall and by mountain routes along the Green Line. 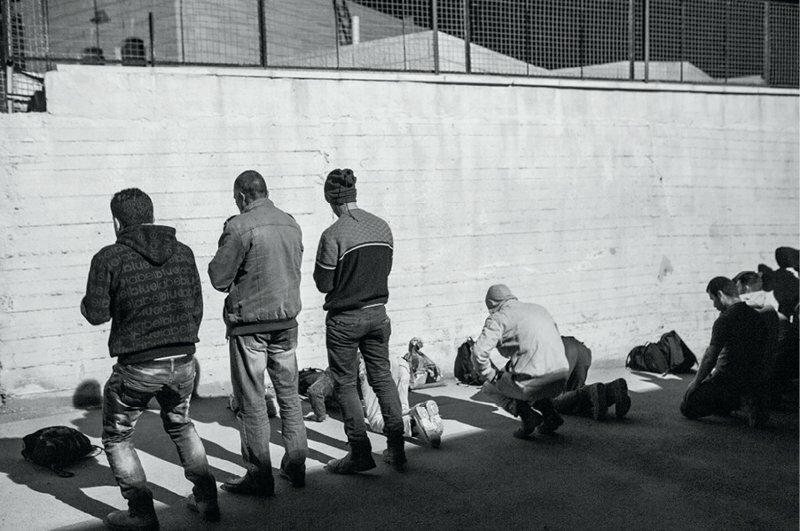 They run the risk of arrest or being shot at by Israeli forces, Anne Paq takes photographs from the checkpoints. A Palestinian woman crosses ‘Checkpoint 300’ with her child. She is one of the few women making the morning crossing from Bethlehem to Israel – those who do, often sell vegetables and herbs in the old city of Jerusalem. 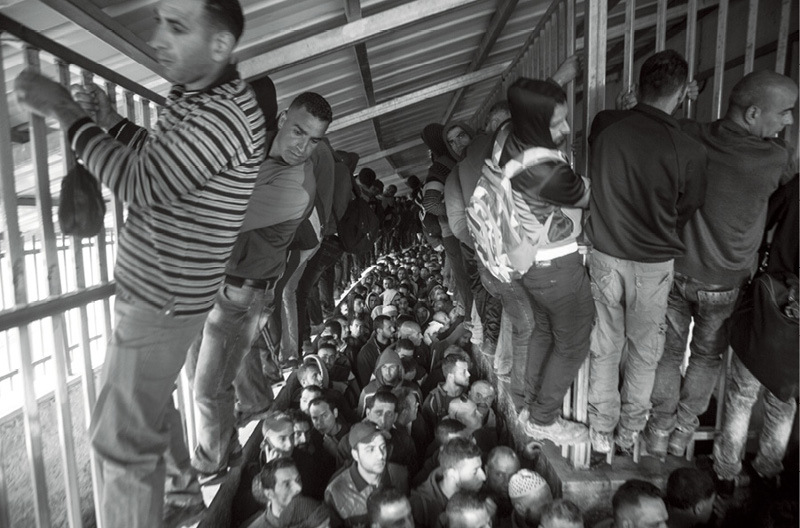 Women, students and those looking for medical care in Israel or East Jerusalem should pass through a ‘humanitarian lane’ but it is often closed They can only use the crowded male workers’ line. At the very early time of 3.00am, crowds of Palestinian workers start to arrive at the Bethlehem-Israeli military checkpoint or ‘Checkpoint 300’. They are going to work in Israeli and Palestinian cities beyond the Green Line. Many are construction workers. Many come from the south of the West Bank and begin their journey in the middle of the night. 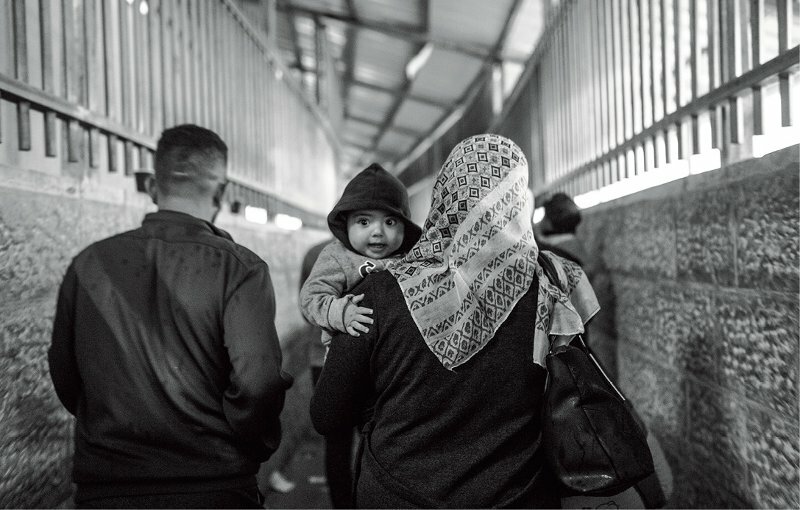 The World Council of Churches’ Ecumenical Accompaniment Programme in Palestine and Israel (WCC-EAPPI) says between 4,000 and 6,000 workers cross this checkpoint daily between 4.00am and 7.00am to go to work in East Jerusalem and Israel. 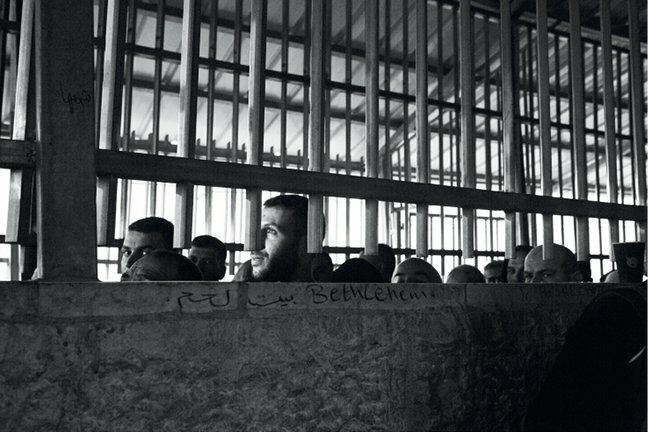 ‘Checkpoint 300’ is one of 13 crossings where Palestinians with work permits can cross. About 70,000 Palestinians pass through Israeli military checkpoints each day. Workers crowd into the cement- and metal-barred walkway leading to turnstiles and metal detectors. After, they wait inside a terminal before their identification and work permits are checked by the Israeli soldiers. This can take two hours and the ILO and other human rights organizations say it is inhumane and humiliating. Palestinians at the Bethlehem checkpoint stop for the 5.00am prayer. The Israeli system giving work permits to Palestinians has been criticized for creating a black market for the documents, which can cost $600 a month and must be paid to brokers. 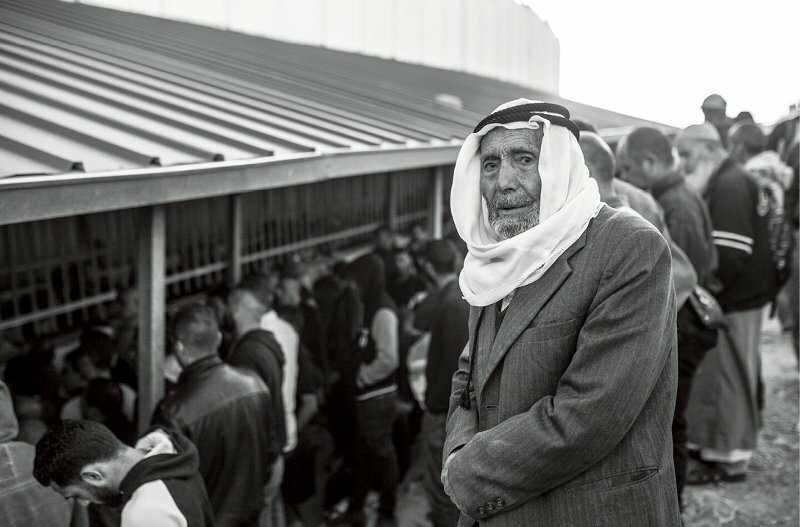 ‘This is not a life,’ says 88-year-old Mohammed, waiting patiently until the checkpoint gets a bit less crowded. He makes the journey to Jerusalem six days a week to sell his greens at a market. Many Palestinians feel they have to make the crossing because of high unemployment in the West Bank and much better wages in Israel.